Those that have followed us for a while will know that this year we are actively promoting Madarao in the Nagano Prefecture, Japan, as a family ski destination. And before we go on, let us disclose that – yes – we are working with the resort and one of their accommodation providers, Active Life, and yes, we are receiving support to cover some of our expenses. However, this is not your standard sponsored post about another basic accommodation provider in another standard Aussie-dominated resort; its more about the way Active Life are looking to differentiate from their competitors, in a quaint, relatively undiscovered resort. 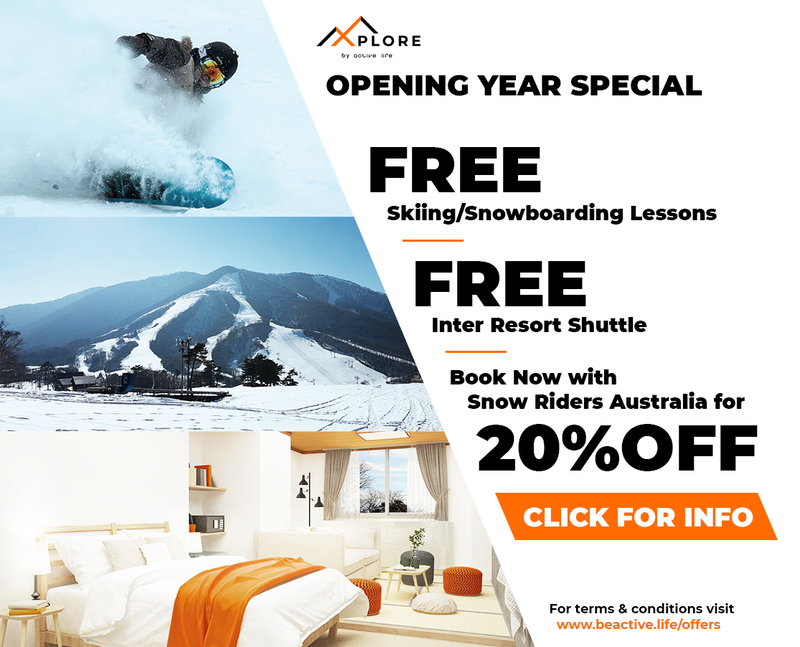 So if you are a family looking for an alternative ski holiday, complete with FREE ALL DAY beginner skiing and snowboarding lessons and a FREE inter-resort shuttle bus, providing access to up to 6 nearby resorts, then we invite you to please read on. But first, a little bit about Madarao. Madarao or Madarao Kogen is a smallish resort in the northern Nagano Prefecture. The resort is easily accessible thanks to the recent extension of the Shinkansen line through to Iiyama station, the whole journey from Tokyo to Iiyama taking just 110 mins. 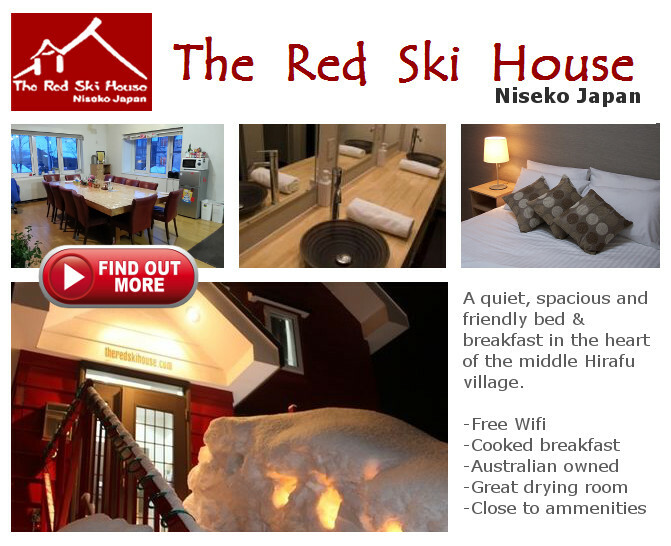 The resort is famous for its champagne powder-snow, earning it the nickname MadaPOW, and its unassuming Japanese style. Until very recently, Madarao was very much undiscovered, and widely heralded as one of Japan’s secret resorts – largely untouched by westerners. Although its would be a lie to say it remains this way, Madarao is still relatively quiet and on a quiet day, you can still pretty much have the mountain to yourself; and that means fresh tracks all day. At just under 1400 m, Madarao Mountain is not big by Hakuba standards, but as a northern facing mountain it still receive around 10 m of very light, very dry snow, every year. Madarao is an excellent all round resort with terrain for every kind of rider from first timers to advanced skiers or boarders. Madarao has a vertical of 440 m and dedicates 30% of its courses to beginners, 40% to intermediates and 30% to advanced skiers and boarders, providing plenty of options for all levels. The longest course is 2.5 km and the steepest slope is 36 degrees. Madarao is open from 8:30am until 5pm, with night skiing until 9pm, weekends and public holidays. On New Year’s Eve, you can also ski till midnight. Lift passes are also cheap at 4500 yen for the Madarao area, or 5000 yen for Madarao and the adjoining Tangram ski area. Unlike some of the more famous Hokkaido resorts, Madarao is not a party destination, and nor does it pretend to be. People come to Madarao for the quality snow and the low key atmosphere, and although there are plenty of bars and restaurants, there are certainly no night clubs or noisy patrons. Having said that there is plenty to do in Madarao, from exploring the local architecture, the nearby town of Iiyama, or even visiting the region’s famous snow monkeys, located just a short bus trip away. As a part-time skiier, my wife commented that she just enjoyed the quiet atmosphere, reading a book by the fire, walking the cat trails and indulging in a bit of nature photography. Having grown up skiing in Australia, we spent an unhealthy amount of time worrying about the snow, hoping and praying the weather would turn in time for our holiday. You don’t need to worry about that in Madarao, or anywhere in Japan for that matter – especially if you go in the depths of winter (i.e. January and February). Madarao receives a whopping 8-10 m of snow fall annually, most of which falls between December and Late February. In 2018, January and February were big months, with near daily falls of 30-40 cm creating ideal powder conditions. Not surprisingly, the resort is a powder-hound’s paradise and tree skiing is very much encouraged in a series of dedicated off-piste areas, where the trees are thinned (or gladed) to create open powder bowls with widely spaced trees. Family rooms at Active Life (accommodating a family of four) start at Y44,446 ($AUD556) per night and a double room from Y15,489 ($AUD 193) per night. All family rooms come with their own ensuite while cheaper double rooms have shared ablution blocks. Each of the Active Life hotels serve breakfast (either a nice continental style breakfast, with gourmet muesli, cereal, bread and fruits, or a hot breakfast, complete with bacon and eggs). The drying rooms are large and efficient leaving you and your children’s gear dry and toasty warm the next day. What sets Active Life apart is their offer to supply FREE ski and snowboard lessons for any guest staying four nights or more. Active Life offers 2.5 hour lessons for adults and ALL DAY lessons for children aged 5 to 14, making the lesson structure akin to kids club in Australia. To put this in perspective, children’s lessons in the resort start at around Y12,000 for a full day lesson and around Y10,000 for a 2.5 hrs adult lesson. Adding it up, that represents a saving of around Y50,000-60,000 ($AUD625-750) per child over a 5 day period. That reduces the price of a family ensuite room to around $AUD256 per night, which is great value especially in peak season. Let us tell you, it is very difficult to find family rooms cheaper than that anywhere, even if you were intending to buy your lessons separately. For the more adventurous riders, Active Life also offers a FREE shuttle bus to six nearby resorts, Lotte Arai, Myoko, Nozawa Onsen, Kita Shinshu-Kijimadaira, X-Jam Takaifuji and Ryuoo Ski Park. The shuttle runs Monday to Friday (to avoid peak times) between 28 December and 5 February, and leavs Madarao at around 7 am returning around 5:30-6pm. There’s no fixed route. Destinations are chosen based on the forecast and the best snow conditions at the time. Lift passes are cheap at Y4500 and Y1500 per day for adults and kids respectively, OR, cheaper again at Y4050 and Y1350 per day if you book through Active Life. Like what you hear? Why not join us? Snowriders Australia in partnership with Madarao and the Active Life Group, is this year proud to announce our inaugural club trip, Powder Seekers 2019; the first of what we hope will be a regular series of Club Skiing and Snowboarding adventures to Japan, Australia and other snowy destinations. Powder Seekers 2019, taking in Madarao and surrounding resorts, is suited to families and powder hounds alike. We’ve worked really hard with our partners at Active Life to bring you the best deal possible. Remember accommodation costs include breakfast, FREE all day children’s and 2.5 hr adult’s lessons and FREE shuttle bus transfers to nearby resorts – all in peak season! Such a deal is rare and new for the Active Life Group.